When a non-resident parent is not paying maintenance towards his or her children it can be very tempting to withhold contact with the child as a means of punishment. Sometimes this non-payment can be justified, for example if a non-resident parent has been made redundant, and in other circumstances there is no good reason for the non-payment. If a non-resident parent is not paying but still wants to see the children, it can be hard to know what to do. Your feelings of anger may be mixed with the desire of your child to see his or her parent. In legal terms, there’s no ‘right’ to see a child or to withhold contact with a child from a non-resident parent. Parents with care often struggle to understand this. It can certainly seem unfair that a non-resident parent can pay little or no money towards a child’s upkeep, but then is able to take the child abroad on holiday for two weeks, for example. On other occasions, the CSA may have made a calculation that seems to be far below that which you expected, or seems not to be based on the non-resident’s actual income. However, it is never right to withhold contact, no matter what the situation. The courts, social services and other public authorities look at what is in the best interests of the child, rather than one or both parents. If you are withholding contact from a non-resident parent, remember that time spent with a child is not a commodity that can be ‘sold’. It may be the child who will suffer, and they may blame themselves for the non-contact or non-payment. Despite their differences, this is obviously not what either parent wants! A contact order is usually made when parents are not able to agree terms upon which a non-resident parent can see his or her child. It essentially means that the parent with care must allow the non-resident parent access to the child, whether that means allowing the child to stay with them, or simply letting the child keep in touch with their non-resident parent by phone or letter. An interim contact order can be made while the final details of the contact order are being arranged. The parent with care sometimes withholds contact that is agreed under the order. Unfortunately, this happens all too often. In these circumstances the parent with care may be brought back to court but it is a sad fact that it can mean extensive legal wrangling and increasing bitterness simply because a non-resident parent wishes to see his or her child. I have a 5 month old son me and his dad had an agreement that he could come and see his son any time he wanted to! For the first month this went great so i agreed for him to go on the birth certificate but after a month he stopped coming when he arranged to with excuse after excuse he was falling out with his gf/ he needed a nap / he was moving after asking to see him that day! When he did show up he was always late and spent most of the hour he was visiting on his phone! He hasn’t seen him for a month now and is demanding that he has a right to have our son on his own every 2 weeks for a couple of hours! I don't feel comfortable with this due to him not having a relationship with out son who screamed at him the whole hour he last came because he doesn’t no him (seen him for a whole 8 hours in 4 months) i have sed he can come an visit him anytime he wants but he says that he doesn’t want to come and sit with me because of all the times he let our son down! He has a history with alcohol abuse saying he struggles not to hit the bottle but continues to drink at weekends has told me he had to go to the police station for a failure to stop after an accident because he didn't want to get done for drink driving and has a criminal background that i’ve only just found out about where do i stand on only allowing supervised time with my son till he can be trusted and has built a relationship with our son? My son has been to court to seek access to his son. A court order was put in place allowing my son to have the child 2 nights 3 days a week. Every time he goes to pick up child she has a reason why he can't go with his dad. This week its because he has a cold.Can he withhold his maintainence to her until she conforms to the court order. My 13 year old daughter is refusing to speak to and visit her dad. She says he keeps asking her questions and makes her feel uncomfortable.I have spoken to him but he denies it. We split up 8 years ago because of his drinking and gambling and his emotional abuse towards my son. ( my son ended up with a nervous tick, and was collapsing with anxiety due to his treatment). My ex denied this. What should I do? Also can he stop maintenance payments if she won’t see him. I have had regular contact with my son and he stays every other weekend from Saturday to Sunday. I recently changed jobs and my previous employer sent out a cheque that bounced. I have notified Child Maintenance of this and kept my ex informed. Now she's refusing me contact because of being unable to pay CM until I get paid from my new job. I have been split with my ex husband for just over 9 years. In that time I have been to court as he fought for visitation rights but never turned up to any of the hearings so the court throw the case out. I have been trying to claim csa for all of this time with no luck. My children are now 16 and 15 and I think they deserve more than what he has done for them. Is there any way I can take him to court and at least get something they are entitled to from him. Hi I have emailed my child’s father a parenting agreement which is fair for him to sign, I have also asked my child’s father to take me to court to arrange set days and set maintenance payments if he doesn’t want to sign and keep to it. I am currently pregnant with his second child and he refuses to maintain payments towards the costs of his children and is inconsistent when it comes to seeing his daughter. He doesn’t have her overnight and never takes her anywhere. I want consistancey and it laid out legally so there is stability and no confusion. He has said if I go csa he can avoid it , he is rude to me in front of her and has no respect for my home. This is why I have stopped contact until a plan is in place .I don’t know what else to do as he thinks he can do what he wants and have it all on his terms . My ex husband (separated 2yrs, we were married 13yrs, have 3 children) constantly lets me down when it comes to having the children. My son wants to live with him but he has said no, this has caused no end of problems for me at home and with his siblings.Can I make my ex have regular contact? Our children miss their father, they need to keep the relationship with him. He's now said that because he works wk on wk off fri-fri that the wkend he has off he can only have them on a Sunday every other wk over night? Bearing in mind he gets fri-fri off. I work full time that include wkends. I want to know where I stand getting something in place that gives our children the regular quality time they deserve and for him to step up and take responsibility. The courts will not force an unwilling parent to have their children. As in all cases, the court’s main concern is the welfare of the children in question. The court will always put the children’s best interests first and this main issue will determine the outcome of any application for an order. My ex husband (separated 2yrs, we were married 13yrs, have 3 children) constantly lets me down when it comes to having the children. My son wants to live with him but he has said no, this has caused no end of problems for me at home and with his siblings. Can I make my ex have regular contact? 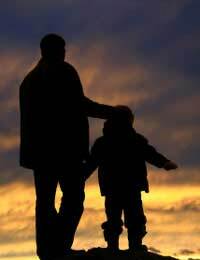 Our children miss their father, they need to keep the relationship with him. He's now said that because he works wk on wk off fri-fri that the wkend he has off he can only have them on a Sunday every other wk over night? Bearing in mind he gets fri-fri off. I work full time that include wkends. I want to know where I stand getting something in place that gives our children the regular quality time they deserve and for him to step up and take responsibility. Your only option would be to either draw up an agreement via a solicitor, or through mediation. It is a formal negotiation and courts can accept the agreement of the mediation instead of having to go through the court process, although it is subject to final court approval. However, it is not a court order. You would not be able to apply to court unless mediation has been explored first. There is no agreement that can ensure your ex does not 'step out of line', you can only come to a mutual agreement between yourselves while considering what you both think is in the best interests of your son and hope that it works. If you bring your child to the UK, as to the terms of the order and are making your son available to your ex, then you are not in breach of the order. You may wish to ask a solicitor to write a letter to your ex outlining the terms of the order and what you are and not expected to do. With regards to your REMO claim, this is the only avenue open in which to try to collect child maintenance from your ex. Much depends upon your ex's financial circumstances regarding why REMO is unable to collect it. Hi I wonder if you could help, my daughter split from her ex partner when my grandson was 5 weeks old as he was violent and mentally abusive towards her ( which I did not know about ) she set up supervised visits where I would go to the other nans house and let them see him then after 4 months my daughter allowed her ex to be there with me present ( which was very hard) my grandson is just coming 2 years old and eventually it has been worked out that he has been going every Monday all day , handed over to his other grandmother and picked back up by me at a agreed place. My daughter has changed the day 3 times prior to this agreement and lost a job because of her ex wanting other days due to him changing jobs. Now they are saying they want to see my grandson on a weekend as he is changing his job again. My daughter is now working in a job she loves and has said no as she feels her son needs to stick to his routine and that she has been more than fair. Now he is threatening to go to court, the harassment is making her ill as she is still scared of him herself, we have pictures and recordings of his mom admitting what he has done so we have proof. Where does my daughter stand with this please? Once your child is born you would have to suggest mediation to your ex in order to try and resolve the issues surrounding her problems. If she refuses to attend mediation, you can then apply to court. You don't say whether your ex has a good family support network that will be able to help with your child, as it is unlikely you would be granted 50/50 custody from birth. Plus, if your ex decides not to register you as the father on the birth certificate, you would have to apply to court for parental responsibility rights and contact in the first instance and this would take time. You may wish to seek professional legal advice in order to fully explore your options. i have been seperated and divorced from my ex for five years . He has agreed to pay 295 ( well below his earnings would suggest ) monthly for my three children .Which was also stamped by the courts . I have always paid everything out of this , recently he approached me and offered to pay for one of my daughters school trip , I accepted for the first time ,, since then he has withheld maintanance payments saying that as he's paid for that he will not be contributing this month . Surely he can't pick and choose how the maintanance money is spent . I am careful which battles I choose but I don't think this is fair , ? My ex and I split 4 years ago and he moved to Yorkshire & is now living with his partner & two children, I don't want to stop my little boy from seeing his dad because I know he loves him to bits but his inconsistency is starting to affect my son emotionally as he should be having him every other weekend as agreed but now he doesn't even have him as agreed & my son needs routine. How do I go about making him have fixed contact? I'm afraid you cannot force your ex to have contact. If you cannot agree between yourselves and your ex is being awkward, the only option you have is to suggest mediation and say you wish to get an agreement set-out that needs to be kept to. As mediation is a formal negotiation and subject to final court approval it may give the arrangement the gravitas it needs, meaning your ex may feel more inclined to stick to it. When we split and now divorce we agreed him to have the kids every other weekend but now he only has themade on Saturday to sunday.we agreed that he would help at Christmas with child care but now change his mind and can't get any more time off work. Where do I stand with him messing me around with fix dates . Hello, can You tell me, what rights my exboyfriend have to his daughter( to take her away from me. He left us for his new girlfrend, 10 month ago. I live with my daughter. He coming every two weeks to see her, stay with her for day and going back. I asking, becouse he told me that if i will have any relationship with another man he will come and smasch me home, will take my daughter and not will give me back. And his joke was" what you will do if one day you coming back home and not find her? If i not will answer to you, what you will do then?". He scary me. @Jane 337, you are well within your rights to ask for an address where your son is staying and if you are not happy with this you are also well within your rights to refuse the contact. Your ex cannot take the child with out your consent and his child maintenance payments don't equate to contact so you should contact the CSA if he is refusing to pay. Hi, My partner has left me I have agreed for him to see our son on saturdays but wants him overnight which in first i didn't have a problem with until he refused to give me an address as to where he will be staying. I have advised him he cannot take him overnight due to this he now is saying he will not pay the Child Support Maintenance amount that has been agreed which has put me in a very bad situation. What rights does he have in regards to overnight contact as he is getting contact on Saturdays anyway ? can he take our son with out me knowing where he is sleeping, we are not married either if that makes a difference. I have parental responsibility - which is being denied - and I'm expected to 'sit back' and respect that my children (aged 9 and 12) don't want to come to mine. I pay maintenance regularly through the CSA. My ex is always stating that I have the children too much (every other weekend), and tried to use the school counsellor to say that the children don't get up for school after they come to us (they go home between 6 and 7pm on Sunday evening). I am concerned for my children's emotional and educational welfare - there have been school issues and my son has been on report twice this year and is allowed to play out and therefore doesn't complete his homework across his core subjects. I see that he isn't getting the most out of school. I have several school letters (by request) - as he has been on report twice this year for not completing his homework across his core subjects. His mum left school on the advice of her parents without sitting any O' levels - being told that she wouldn't pass them anyway, so just get a job... I fear that there isn't any value placed on education in their family. This can affect a person's self esteem, confidence, job prospects and relationships for the rest of their lives. In January, I booked a week's holiday giving my ex the dates 7 months in advance. My ex subsequently booked the same week off and took my daughter away - giving me a week's notice. The children have visited A&E several times in recent years - in every case, I found out days later from the children. I make all of the telephoning to their mobiles as there isn't a landline or broadband. I do all of the transport as they live a number of miles away. In order to address my parental concerns and issues, I sought mediation, paid, and had my initial consultation. I received a letter a month later stating that my ex 'doesn't wish to use the service at this time'. My ex's parents are very influential and spoil the children rotten. My daughter didn't even come to us to celebrate her birthday - her presents and cards are still here a month later. She is reluctant to leave her mum, and I feel that there is some kind of co-dependence in play. I feel powerless and am not treated with any respect - which isn't teaching the children to show respect. I feel totally powerless and am drained by all of this... What should I do?